1) Cross Eyed and Painful – Bass and Drums drive this one with a free pulse. A solid foundation for pithy trios, duos, and ensemble passages takes the intensity up, down, and sideways. 2) Perhapsing – A jazz form with a quizzical head and some open solos driven by a strong and playful bass line. Great Cello work and a hint of Klezmer Clarinet. Inside the lines, but open wide. 3) Seven Legged Spider – This arachnid is just a little off balance but it builds a full head of steam and gets where its going with stype. 4) MJC – A melodic ballad with some beautiful solo sax work to start it off. The rest of the group joins in to weave strands of the melody together to form a new whole. A few duets keep the melody below the surface only to come back and bed us down peacefully. 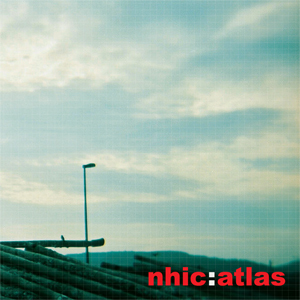 5) Atlas – Builds out of the peace of MJC with long tones from bass and sax. A guitar and cello duel, a clarinet solo, some more fun for all, then bass and cello reminisce into a dramatic cello coda. 6) Catbert Sings – New Art Music Grunge from the cubicle. Experimental, intriguing, exciting.